Our partner package is "wrapped" around your team needs - free software for all team members interested in simulation, free online webinars, moderated Support Forum, and access to our eLearning suite. Please complete the registration form below! 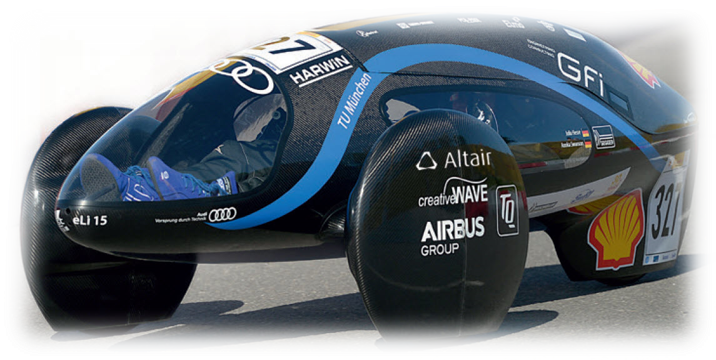 "In 2015 with eLi15, we managed to develop the lightest vehicle in the competition. This would definitely not have been possible without the use of a CAE suite such as HyperWorks. HyperWorks was extremely helpful in the development because the tools highlighted the design problems and showed us the real behavior of the vehicle."